Work fewer hours, have more fun AND make more money from your business. Rethink how the business operates, so you can get back to focusing on the personal strengths and passions that were the reasons you started the business in the first place. Successfully establish new business ventures and take new products and services to market. Get faster-paced growth through an even higher performing team. Save tens of thousands of pounds through creative approaches to efficiency and supplier management. Learn how to make the time to actually get your ideas off the ground. The investment to join the programme is £1195 plus VAT (a three month payment plan is available). The first 10 people to join the January 2019 course will receive an additional, private one-hour coaching session with me! I only open this programme three times a year and the next course begins on 21st January 2019, with an extra Launch Party on Facebook Live on 20 January. When you sign up, we will send you an invoice, which will be payable on 6th February 2019. I only open this programme three times a year and the next course begins on 21st January 2019, with an extra Launch Party on Facebook Live on 20 January. Either join live, or watch on replay if you can’t make it. 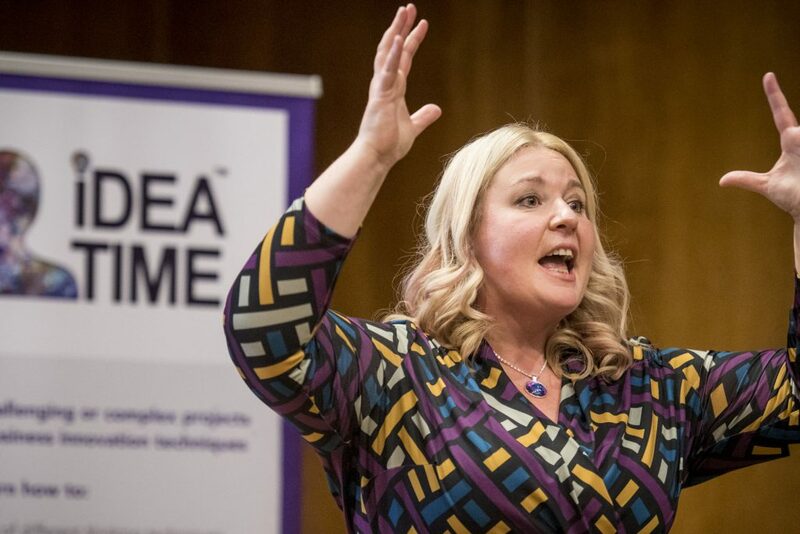 Take Action Today – It’s Idea Time®! When you sign up, we will send you an invoice, which will be payable on 6th February 2019.Sign up to receive lifetime access to this online innovation course and work alongside other HIGHLY MOTIVATED entrepreneurial leaders to achieve greater business success.